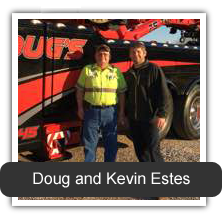 Welcome to Doug's Towing & Recovery! Established in 1978, we have grown to be Elizabethtown’s largest and one of the largest towing companies in Kentucky. We welcome you to give us a chance to earn your business. We have the latest equipment from light to super-duty to accommodate every need you have. So, next time you need any service, give us a call.